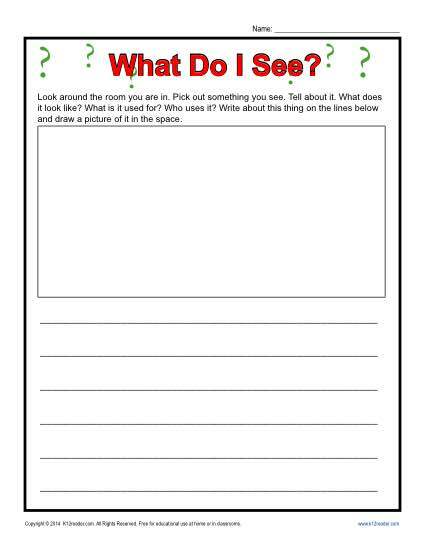 Kindergarten Writing Prompt - What Do I See? Writing Prompt – What Do I See? Sometimes it takes a simple prompt to see the many things we take for granted. What do I see can take on many meanings as you have your students look all around and really see their surroundings. Common core standards are met as the creative thinking process is discovered.